BISMARCK, N.D. – Agriculture Commissioner Doug Goehring applauded U.S. Department of Agriculture (USDA) Secretary Sonny Perdue today for releasing more Conservation Reserve Program (CRP) acres for emergency haying and grazing. 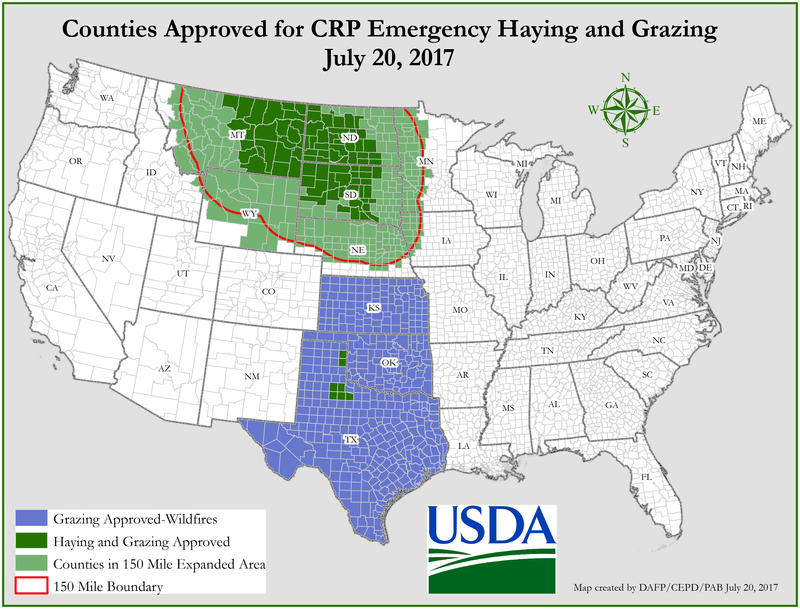 The USDA added the ability for farmers and ranchers in D2 drought level or greater to hay and graze CRP wetland and buffer practices. To view the map, click here. The expansion also applies to parts of Montana and South Dakota that have reached D2 or greater. For contract-specific questions about today’s expansion, contact your local FSA office. MEDIA: For more information, please contact Michelle Mielke at 701-328-2233 or mmielke@nd.gov.